As the seat of the federal government, Washington, D.C.’s largest industry is paperwork and red tape. The second must be tourism. Especially in the spring and summer, droves of school groups invade the area. These tourists seek out knowledge, culture, history … and souvenirs to take home. However, DC’s souvenir shops are not concentrated like they are in New York City’s Times Square. 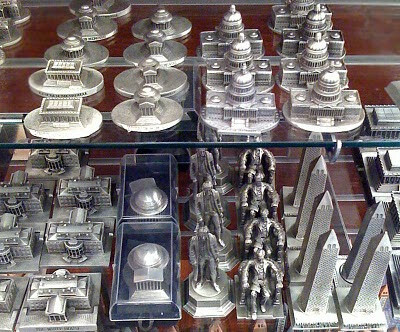 In Washington, you’ll find gift shops in most museums, art galleries, historic buildings and even some monuments (the Lincoln Memorial has a small shop to the right as you are facing Abe and another downstairs under the great seated statesman.) The offerings in these shops vary greatly and many offer unique gifts that are related to and can only be found in that location. Other tourist-frequented areas also have general gift shops such as the downtown area, Union Station, the Old Post Office pavilion and others. There are also many street venders sprinkled around the National Mall selling everything from food to tee shirts to miniature buildings. One of my favorite gift shops is located at 15th and G streets NW, just 2 blocks from the White House. They sell all the items you’d expect including souvenir buildings, but they also offer more, which makes it worth a visit. We hope to include a stop here after the SBCS convention’s White House tour. Historical presidential items and DVDs of presidential bloopers are also sold. 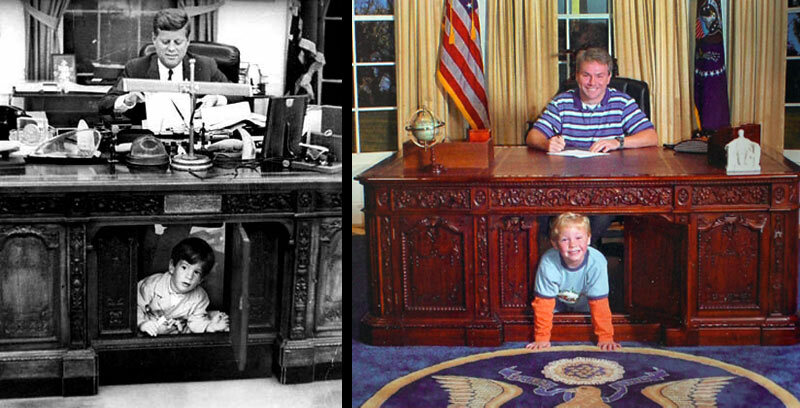 One of the highlights of the store is the replica of the Resolute Desk. For a small fee or if you make a purchase, you can sit at the desk for a photo. The hidden door opens just like the famous image of John-John playing while his father, JKF, worked at the desk. A few other interesting items that I first saw at this shop I've found online as well. Arrive in style to your next black tie dinner with United States Capitol Cufflinks in the shape of the Capitol. 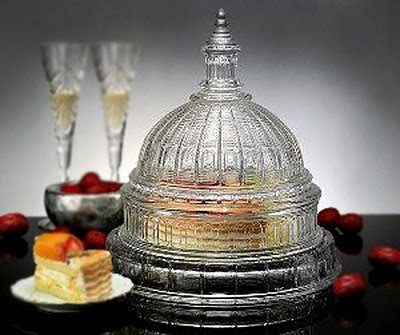 Your next party could be a hit with a large glass CAPITAL DOMED CAKE PLATE . I found this blog so nice because it talks about personalized gift items. So keep on posting!